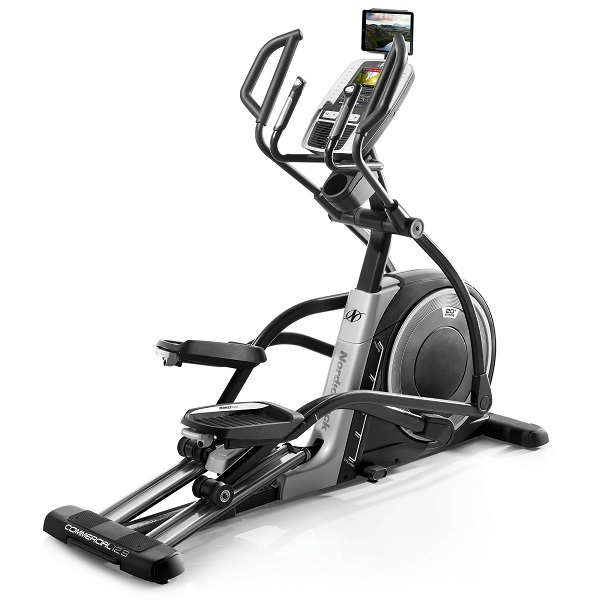 The York x302 is the highest spec elliptical trainer in the York range and really delivers in terms of features, build quality and performance. We can confirm that the electromagnetic drive system creates a really smooth action. 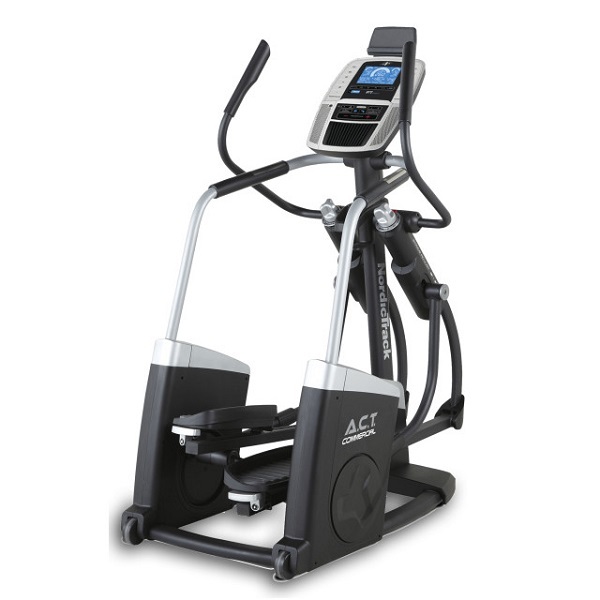 It changes instantly and the variety of resitance levels means you will continue to benefit from using this trainer as your fitness improves. This also means it is suitable for a wide variety of users. We would suggest from beginner to the low side of advanced users. 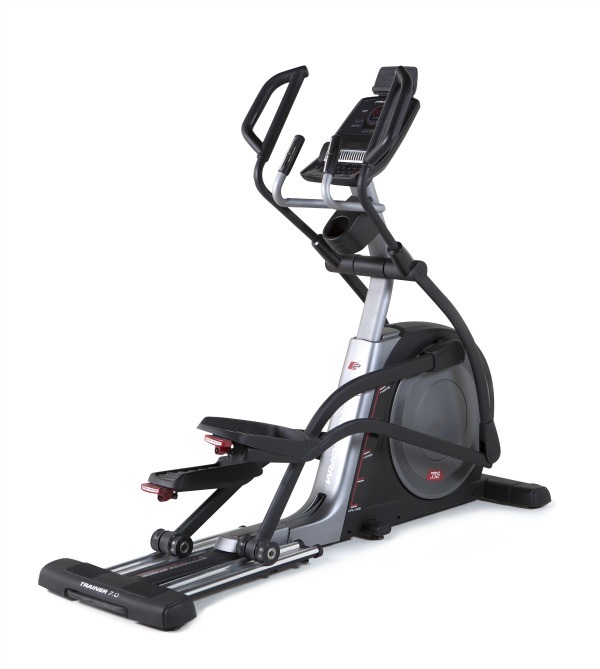 The x302 has a 16″ stride length, making it ideal for users up to a lofty 6’6″ as far as the manual is concerned. 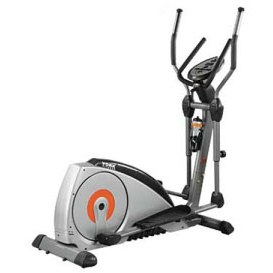 However, if you are northward of 5’11” we would suggest an elliptical with a 19″ stride length. 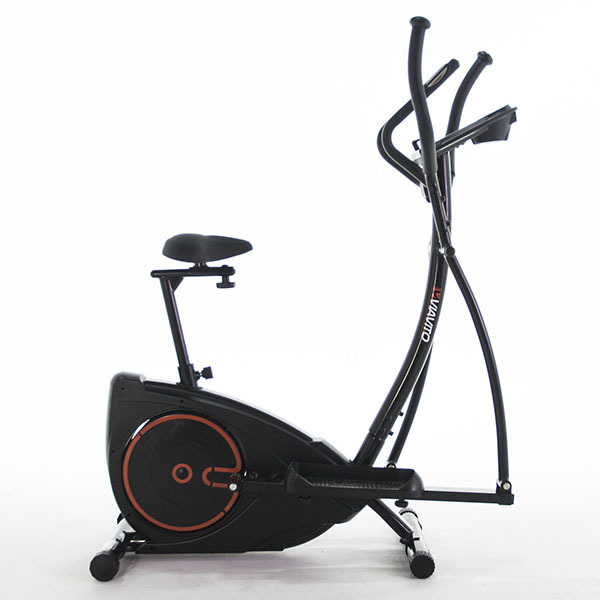 You can also adjust the stride pattern by changing the footplate position and height, which means the machine’s effectiveness spans more muscle groups. The multi position handle bars can be fine tuned to make sure each and every user has the most comfortable workout possible. 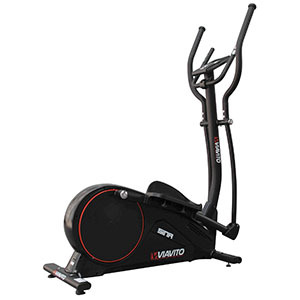 Combine this with the ability to store up to 4 user profiles and you have a cross trainer for all the family. 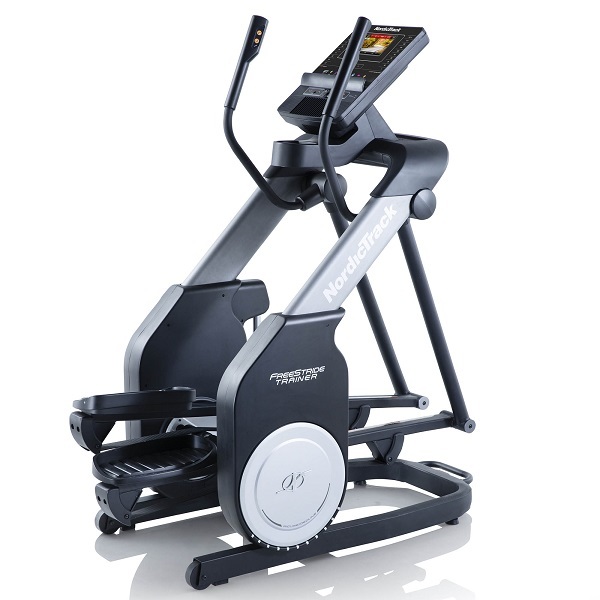 When it comes to programmes, you are spoilt for choice with this machine. 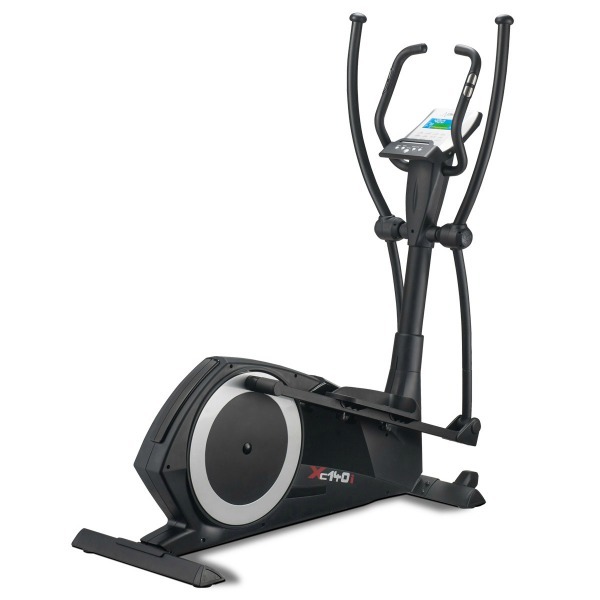 In total there are 22 programmes on the x302 including 4 that are heart rate controlled. The pulse grip sensors are built into the handgrips or you can opt to use a compatible chest belt (which you will need for the heart-rate controlled programmes). Either way, the reading is displayed right there on the 5-window console for you to gawp at during the workout. If you opt to go for a manual workout you can set targets based on time, distance, (theoretical) calories or pulse rate. You can set the resistance though 16 levels. 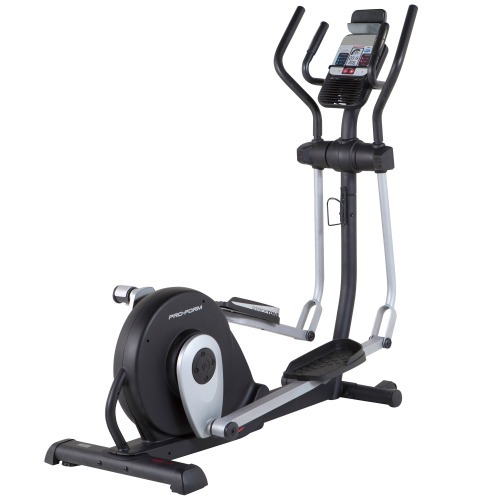 Most cross trainers use magnetic resistance to control the intensity of the workout. Either servo (automatic) or manually controlled, they operate like a hi-tech version of a bike brake, moving a magnet closer or further away from the wheel. The closer the magnet is to the wheel, the greater the resistance. It sounds simple because it is. Thankfully technology has moved on and the York X302 has reaped the benefits. The York X302 uses superior electromagnetic resistance as opposed to standard magnetic resistance. In a nutshell, the resistance adjusted by the voltage flowing through the magnet. This gives you a very large degree of control over your workout. This method of resistance also requires less moving parts, meaning there are fewer things that can go wrong with the machine and also assure consistency of resistance in the long term. Another obvious benefit is you have a smooth and silent action. If the trainer is being used in different parts of the home, you will appreciate the transport wheels. Simply tilt the trainer toward you and let the wheels take the strain as you move it into position. Finally, for those who need to keep a drink at hand, the bottle holder is a welcome feature. 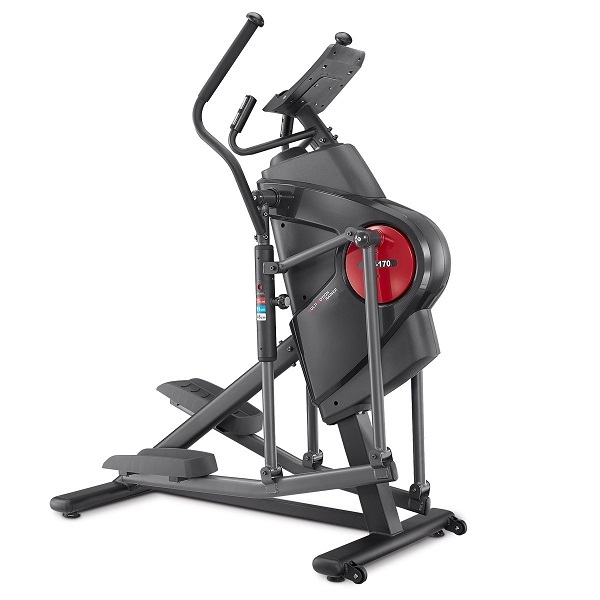 The York x302 is not currently available from any retailers we're aware of in the UK. 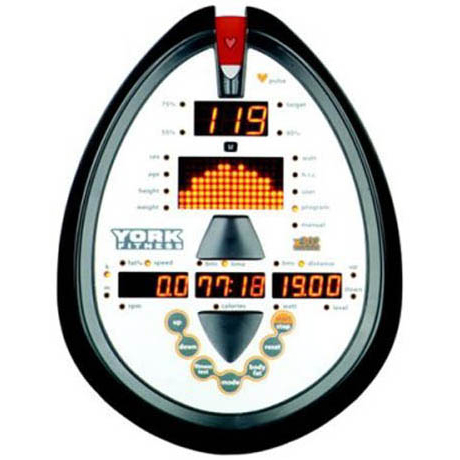 York have thoughtfully included a fitness test function, so you can measure your fitness level and track how you are progressing towards your goals. The body fat and BMI feature is another great addition. By accessing your profile date and gripping the hand pulse sensors for 8 seconds, you are provided with a body fat analysis. Please be aware that this is just for comparison and is not a substitute for a medical test. Oh that sounded a little harsh didn't it? The five LED displays provide all the information and feedback that you need during your workout, including time, speed, distance, (theoretical) calories burned, pulse, RPM, fat %, watts used and the BMI. Don't panic though, its not an information overload thanks to the separate windows. We were particularly impressed by the fully adjustable console that allows you to find the perfect viewing angle.